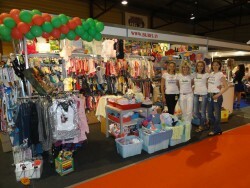 Welcome to our e-shop www.BUBIS.lv! After running a successful Home store for more than 3 years, we have extended our activity by opening online store. We offer a broad range of baby and children’s clothing and other products. New stock lines are added regularly. Great prices and high quality tested by our own. Children’ s clothing are made in the USA, Poland, Turkey, Great Britain and other countries around the world, and of course in LATVIA. Many already know us as the store of tights; in particular we offer extensive range of qualitative made in Latvia WERI SPEZIALS socks and tights at a very attractive price. We are proud of our exceptional customer service – we are ready to measure precise size cm of the chosen clothes to find the most suitable size. It is known that sizes of clothes may vary by different manufacturers even it is indicated as one and the same size. You are always welcome to view, touch and buy correspondingly indicated products on the spot in our Home store. Please find more information in section: contact us. 29.03.- 1.04.2013. hollydays. As of 2.04.2013. we are working as always! Happy Easter! 29.12.- 1.01.2013. hollydays. 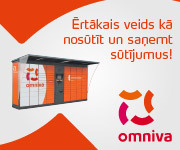 As of 2.01.2013. we are working as always! Happy New year!